As summer kicks off early this year, we are spoilt for choice in selecting a plant of the month. 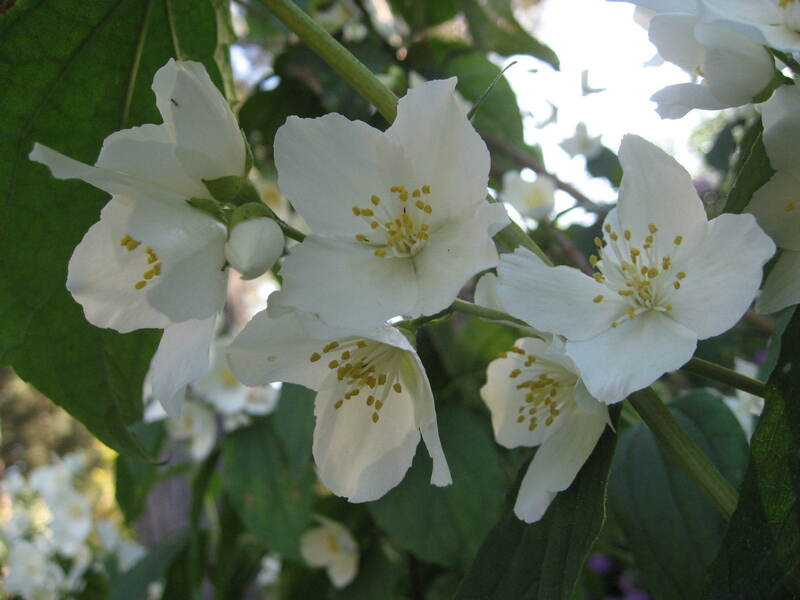 For example, the garden is filled with the heavenly scent of the philadelphus. I have three different varieties in the garden and all are in full bloom, so the scent is everywhere. 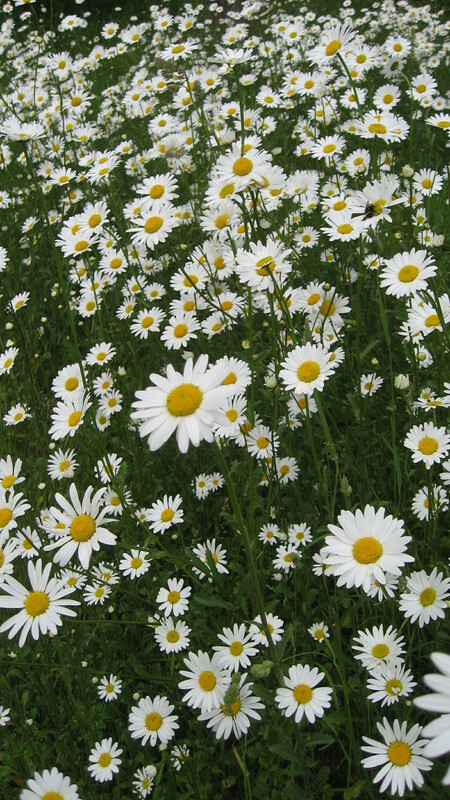 I was also tempted by the wild flower beds crammed with ox eye daisies. 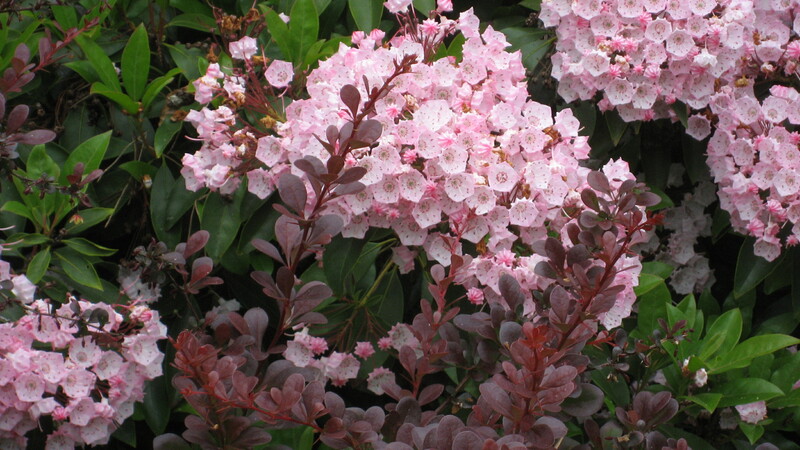 But after visiting a NGS garden, I have to say the plant of the month I have selected has to be the fantastic evergreen Kalmia latifolia, the Calico Bush or Mountain Laurel to give it some of its names. Its unusual pink flowers are perfect pentagons and the clusters can be so dense, the rest of the shrub disappears in a haze of pink. 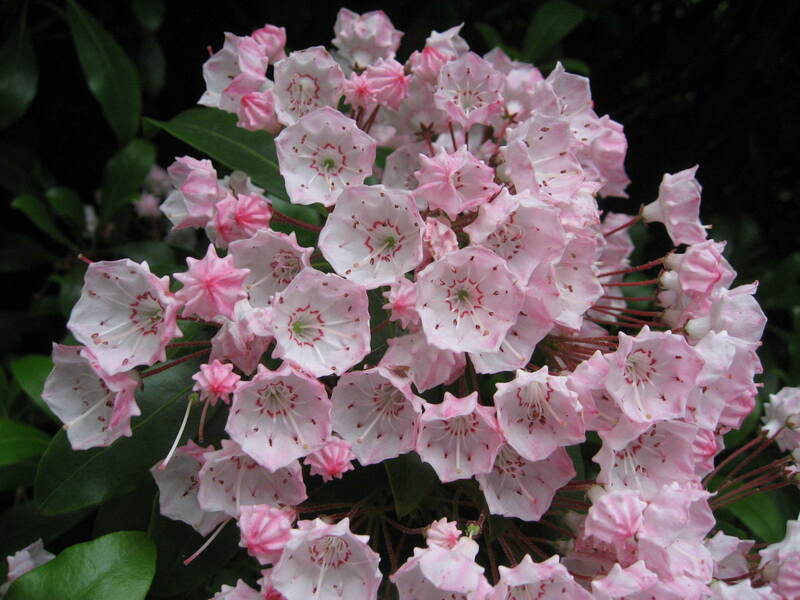 Kalmia likes a full sun or semi-shade aspect with moist, humus rich, acid soil. It is fully hardy to temperatures as low as -15°C. It will grow to around 3m tall with a similar spread. It looks particularly effective when planted beside dark red and bronze leafed plants such as Cotignus; Fagus sylvatica and Berberis. Kalmia is a great plant in a woodland garden, can be used for hedging or as a structural shrub at the back of a mixed border.